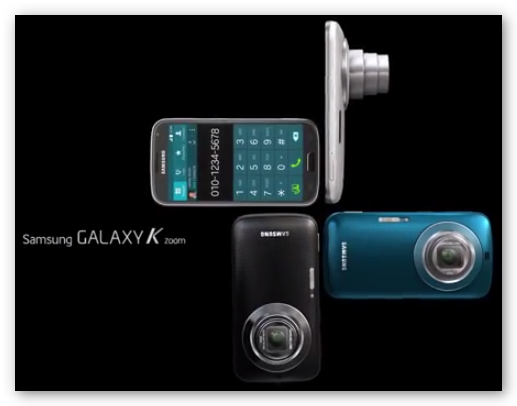 A quick preview on the forthcoming addition on Samsung’s hybrid smartphone, the Samsung Galaxy K Zoom, a digital camera and smartphone rolled into one. The integration of digital camera to almost any portable device like tablet, smartphone, gaming console and more is proof that digital photography has truly progressed over the years. The advancement in the technology of digital cameras are not limited to hardware upgrades as manufacturers continue to explore every facet to improve this device which is evident with the release of Android digital cameras and the built-in cameras of smartphones and tablets. Although the quality of images shot from a smartphone or tablet is relatively decent for most, others still prefer using a digital camera because it produces better and sharper images compared with the latter. With Samsung Galaxy K Zoom, you get the convenience of mobile solutions and the advance technology of a built-in digital camera in a single device. While the Samsung Galaxy K Zoom is designated to be a camera specialized smartphone, the features and capabilities of this Galaxy mobile phone is not one to be ignored. Under the hood, it is powered by a 1.3 GHz quad core processor side by side with a 1.7 GHz dual core processor. It has 2 GB of RAM and an internal storage capacity of 8GB with expandable external storage via microSD card. It will be operating on Android 4.4 KitKat combined with some factory default software like S-Health app (Samsung’s fitness app) and other special features including the “Ultra Power Saving Mode” to optimize battery capacity. Although the size of the display screen is rather usual, considering the hexacore system running on this device, watching movies or streaming videos will certainly be a walk on the park for this 4.8” fusion smartphone. The onboard camera of Samsung Galaxy K Zoom is absolutely one for the books. The cutting-edge camera structure is armed with 20.7MP (BSI CMOS sensor) with 10x optical zoom retractable lens and xenon flash that captures crystal clear and unbelievably thorough images as well as remarkable videos (full HD). It works extremely well under minimal lighting condition and is packed with several notable camera functions like auto focus and auto exposure separation (AF/AE), “selfie” alarm that lets you take effortless selfies and a total of 10 enhanced filter settings which provides a professional feel. 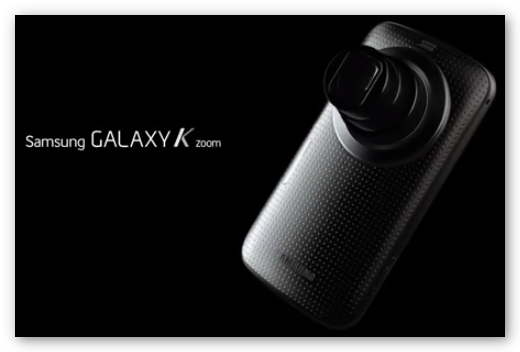 Despite Samsung Galaxy K Zoom’s unconventional combined technology, it is incredibly easy to use, thus, it can be projected that the forthcoming Samsung flagship shall receive favorable response from consumers. Dance to your own beat and create your signature rhythm and harmony by collaborating two or more tunes from your playlist via the best free DJ app for any platform. Are you tired of listening over and over again to your existing playlist? There is no need to be a musical genius to give your favorite song a new flavor and a refreshing twist. You can be your very own David Guetta by adding and mixing a new beat to your much-loved melody to produce a unique sound using the best free DJ app for your computer, smartphone and tablet. So let’s get the party started and be a stand out by producing your distinct music. 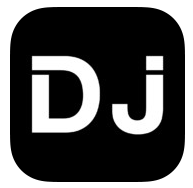 VirtualDJ Home is free DJ app that is compatible with both MAC and Windows computer. It is recommended for beginners (with tutorial) and average DJ app users. This free software allows you to play around with the volume, put in some sound effects and cut/trim music files with just a few easy moves. It comes with a number of different effects that you can experiment with to create your personal sound. Note: For Windows users, you may convert your mixed tracks with AVGO’s Free Audio Converter to make it compatible with most portable gadgets including iPad, iPhone, iPod, Galaxy devices and more. Cross DJ Free is capable of detecting the precise BPM of any music that enables you to easily mix and produce flawless tracks. This free DJ app comes with 2 turntables, 3-band EQ mixer, 3 Crossfader modes (cut, autofade, normal) and multiple sorting options (via title, artist, album, BPM, etc.). 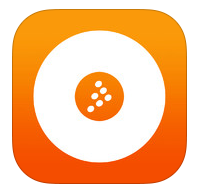 Cross DJ Free also supports different audio formats including MP3, AAC, FLAC and more. 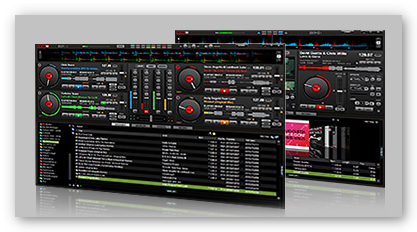 DJ Player is a flexible free DJ app that can either work stand alone or in combination with any external mixer, MIDI controllers, vinyls (DVS) and sound cards. This app is more suitable for experienced users. It is packed with 2-4 decks dependent on the mixer mode you use with 3 effects slots on each deck, 3 band equalizer, channel fader, lp/hp filter, crossfader with adjustable curves, 8 loop points, 2 slip modes (scratching or reverse) and a whole lot more customization features. 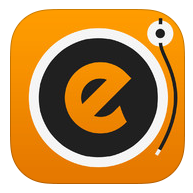 Voted as the “Best App Of The Year” for 2013 App Awards, edjing DJ mixer console studio for iOS (also known as edjing DJ studio music mixer for Android users) is a free dj app that lets you create, mix and share tunes directly to popular social networking sites such as Facebook, Twitter, Google+ and others. It is has a simple user interface that features 2 turntables with crossfader. It also includes free DJ effects, BPM synchronizer, “AutoMix” mode (enables automatic transitions between titles on the playlist), Gyro effects option (for iPhone users only) and several others. 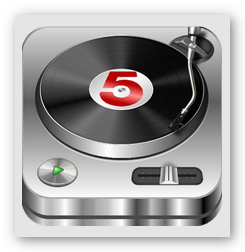 DJ Studio 5 is a free DJ app for Android that is boosting with power and vigor. It showcases 2 cybernetic turntables with crossfader that allows you to mix, remix, loop (pitch) and scratch your tunes however you please. This app comes with at least 8 sound effects, in/out beat based loops, customizable decks (7 skins) as well as 10 customizable sample pads. On top of that, it also equipped with a built-in recorder so you can live record your mixed tracks. 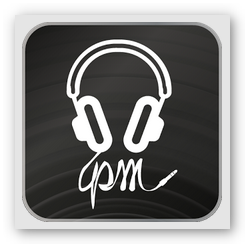 Another free DJ app that is recommended for beginners is Party Mixer . For starters, this app has an “Auto DJ” mode that can mix songs automatically for your convenience. As you progress, you can slowly transition to playing and blending two tracks simultaneously and practice cross-fading between the two tunes. Furthermore, you can also vary the tempo, pitch and BPM as you get more comfortable and confident with your “DJing” skills. Which Is The Best Android Digital Camera? Get ready to point and shoot through the convergence of photography and smart technology via Android digital cameras like Samsung Galaxy 2 Camera or Nikon Coolpix S810c. Not so long ago, both Samsung and Nikon made a major advancement in the field of photography by launching their first offering of Android digital camera, the combined power of digital photography and smart technology. To put it simply, it is a digital camera that has WIFI capabilities and running on Android operating system which enables you to take better photos and instantly edit your snapshots using the best photography app that you can download for free from Google Play Store then share it directly to the internet via social networking sites and more. Following the favorable response of consumers regarding the Android digital camera in the market, both manufacturers have added yet another product on their list through the release of Samsung Galaxy 2 Camera and Nikon Coolpix S810c. Powered with 1.6 GHz quad core-processor running on Android Jelly Bean 4.3, Samsung Galaxy 2 Camera lets you take exquisite pictures even at extreme distance with its 21x optical zoom. It features a 4.8” (121.2mm) HD Super Clear Touch Display at 308 ppi (pixels per inch) boosting in vivid colors. What makes the display of this Android digital camera even more interesting is that you can adjust the brightness to its maximum without taking a toll on the battery charge, all thanks to the “White Magic Technology”. On top of the superb hardware specifications, this amazing piece of gadget comes with a bunch of other special features like smart mode, smart mode suggest, photo beam, autoshare, remote view finder, mobile link, group share, PC auto backup, Samsung link and many more that makes it connect seamlessly with other Android smartphone, tablet and PC. Although Nikon Coolpix S810c is not as powerful as its adversary, Samsung Galaxy 2 Camera, this Android digital camera is still crammed with quite decent features that make it capable of producing more stunning images compared to that of the built-in camera on your smartphone or tablet. Running on Android Jelly Bean 4.2.2, Nikon Coolpix S810c comes with 3.7” TFT LCD with anti-reflection coating, 16 megapixel resolution and 12x optical zoom lens with 24x dynamic fine zoom which truly makes Nikon a highly competitive and respected brand in the imaging business. Android digital cameras are a bit pricey so if you cannot afford to shell out the extra hundred dollars or not really a photo enthusiast, you might as well stick to the built-in camera of your smartphone and tablet. You may also try a WIFI enabled digital camera which is by far the best alternative to Android digital camera. Canon PowerShot Wi-Fi cameras may not be running on Android but it can work side by side with either an Android or iOS devices so you can still upload the captured images online. But first, you need to download Canon’s free CameraWindow app on your Android or iOS device so you can transfer and open the images on your smartphone or tablet then from there you may share your photos online. 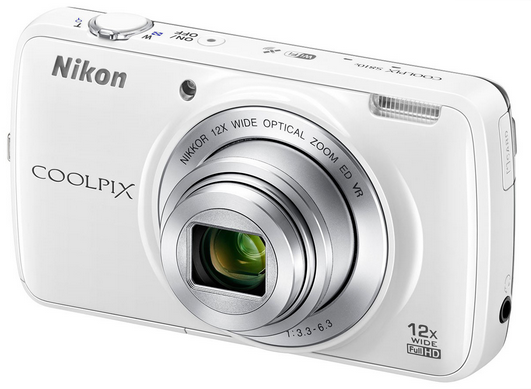 In addition to that, you may share your pictures directly with a fellow Canon PowerShot Wi-Fi camera user. Are you bored of the built in keyboard app on your Android smartphone and tablet? Then add some flavor on your gadget and download a different keyboard app for Android. The stock keyboard app on your Android smartphone or tablet may seem fine but there is no rule in the book that says we need to settle for it, right? Good thing that there are several paid and free keyboard app for Android that you can get from Google Play store. But in consideration to some of you who might be newbies on this, we have decided to list some of the best free keyboard app that you can try and play around with. Choosing which is better between a Bluetooth keyboard and a keyboard app for Android all boils down to your needs. If you are aiming on doing some serious business on your tablet or smartphone like typing documents and the likes then a Bluetooth keyboard is the way to go. However, if you are just looking for a substitute keyboard app, hence, downloading a keyboard app for Android is the workable preference to ease up that monotonous feeling brought about by your smartphone or tablet’s default keyboard. TouchPal X Keyboard is a keyboard app for Android recommended for those who are leaning towards the “tap and swipe” gesture when typing. It is equipped with a feature referred to as “TouchPal Wave” that allows you to drag the word over the spacebar which will then come up with a selection of suitable words you can choose from to complete your sentence. This keyboard app for Android includes support for over 70 languages, mix language prediction and emoji access as well as different theme preference. For those after a fun and entertaining keyboard experience, GO Keyboard may just fit the bill. 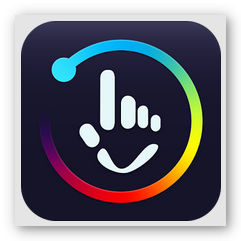 This keyboard app for Android supports “multi-touch” function for that swipe action when typing. 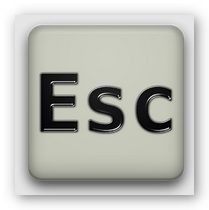 It also include support for more than 60 languages, multiple keyboard layouts and over a 100 personalized themes to switch around with which makes this keyboard app a popular choice among younger Android users. Showcasing the look and feel of your regular Windows computer keyboard is the strength of Hacker’s Keyboard . 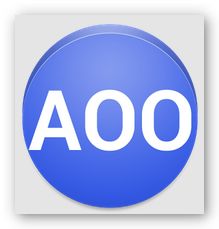 A keyboard app for Android that comes with functions keys, alt, tab, ctrl, arrow keys and more which brought about the familiarity and comfort of the old reliable QWERTY keyboard layout that we are all so used to. It also features different keyboard layouts which supports approximately 31 languages. The last on our list of note-worthy keyboard for Android is Multiling Keyboard (new beta) . Also known as Multiling O Keyboard, it is the younger and better version of the “MultiLing Keyboard”. It is packed with the same awe-inspiring features of its predecessor such as multiple keyboard layouts, emoji support, T9 prediction, etc. and with a few extra special additional features like level up support for 130 languages, unlimited customizable themes, more vibrant colors, built-in calculator and so much more. 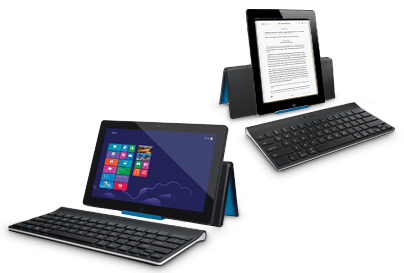 Boost the productivity of your tablet and be able to type faster and more fittingly by using any of the following recommended Bluetooth keyboard for Android tablet. For the ultimate entertainment portable device, the Android tablet is absolutely the smarter choice over a laptop as far as flexibility and mobility is concerned. It makes a great gizmo for viewing videos, playing games, surfing the internet and as well as when you need some official work done like documents, spreadsheet and more. By downloading an office suite app suitable for Android, you will be able to create reports and the likes on your Android tablet whenever the need arises. However, the touch keyboard could be a bit of a disadvantage when using a tablet to undertake such task, therefore, if you want to do things quicker and easier then it will be best to use a Bluetooth keyboard for Android tablet. In connection with that, we have rounded up some of the finest Bluetooth keyboard for Android tablet that will enhance the inputting efficiency of your Android tablet. Logitech Tablet Keyboard For Android couples effortlessly with both Android and Windows tablet. It operates on Bluetooth 3.0 technology with a width of 11.13 inches and length of 5.12 inches. This Bluetooth keyboard for Android tablet has built-in media control functions that enables you to easily play, pause and control the volume of the video you are viewing or tune you are listening to. On top of that, the complete package comes with a carrying case to protect your keyboard which also transforms into an angle adjustable and durable stand for added convenience. Also included in the set is 4 AAA batteries. iWalk Bluetooth Keyboard is justly dashing as it is flexible. 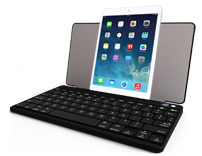 This keyboard for Android tablet is lightweight (1.4 lbs. ), 0.5 inches thick and links to any smartphone, tablet (Blackberry, LG, Nokia, Samsung, other Android smartphones and iOS devices including iPhone, iPad and iPad Mini) and other Bluetooth enabled device through Bluetooth 3.0 technology. Perhaps, the most notable feature of iWalk tablet keyboard is that it is armed with a long lasting (up to 300 hours), rechargeable (via USB), high performance Li-Polymer battery. Another flexible for Android tablet is Logitech K810 Bluetooth Illuminated Keyboard . It connects seamlessly to any PC, Android smartphone or tablet (3.0 or later) and Apple devices running iOS 4.0 or later. Similar to iWalk, it is also a USB rechargeable keyboard. What sets this tablet keyboard apart from its competition is the “hand proximity detection” feature. It is equipped with a motion sensor that turns the keyboard illumination on when it detects your hands as it approaches the keyboard and off when not in use to save on power. Increase the versatility of your Android tablet and make it work like a computer by downloading and installing the best office suite app for Android. While Android tablets are seen more as a portable entertainment gadget with its wifi, video, music and gaming features, you can also use it for work related activities much like how you utilize your pc for office functions. To accomplish this, you need to install the suitable office suite app for Android and connect an external device specifically a tablet keyboard, your Android tablet would conveniently perform like a fully capable pc. To get started, we have selected some of the best office suite for Android that would help you achieve the objective of optimizing the functions and capabilities of any Android tablet by enabling it to work like a regular pc. Why make Android tablet work like a pc? In reality, any Android tablet would pale in comparison to a pc given the power and functionality to perform at its fullest, nevertheless, you cannot discount the fact that the Android tablet is obviously the best alternative to it and with quite a few advantages at that considering its size, weight and mobility. In addition to that, you can also do simple video editing on your tablet similar to a pc using free editor app for Android. 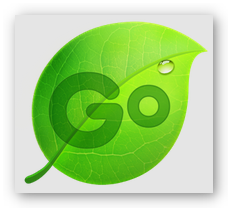 One of the most downloaded office suite app for Android is Kingsoft Office + PDF . This office suite app is best known for its superior interface, file size and stability in terms of operation. It can be utilized for viewing and editing tasks and supports right about 23 different file formats including .doc, .docx, .txt, .xls, .ppt, .pptx and .pdf as well as cloud storages like Google Drive, Dropbox, Box.net and several other services with WedDAV protocol. It also features a built-in file manager that is capable of consolidating your office document automatically. Another office suite app for Android that is praised for its ease of use and flexibility is Quickoffice . 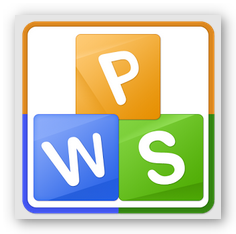 This free office app developed by Google enables you to view, create and edit Microsoft® Office documents, presentations and spreadsheets via any Android tablet and smartphone. It also allows you to save your files in Google Drive (maximum of 15GB free storage), provided you have a Google account, so you can access your work through either your computer or other mobile device. 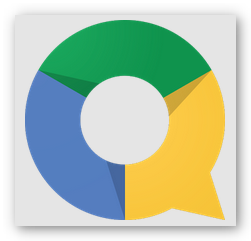 To further that, Quickoffice lets you open and view PDF files, attach files to emails and do file sharing with other existing Google Drive folders. If you have OpenOffice installed on your computer, then we strongly suggest AndrOpen Office as it is literally a direct port of the mentioned pc software. This office suite app for Android lets you view, edit and export office documents by means of the full features of your computer’s OpenOffice. It is packed with 6 modules namely Writer for word processing, Calc for spreadsheet, Impress for graphics presentation, Draw for drawing, Math for editing equations and Base for database. On top of that, it can also import and export more than 50 file formats including documents from Microsoft® Office, Text, Adobe Photoshop, AutoCAD, Portable Document Format (PDF) and many more. Bring out the creative side of you and get busy by subscribing to the best DIY YouTube channel that showcases economical and easy to follow do it yourself videos. They say that learning is a continuous process and the best way retain that wisdom is by putting it into practice. Gain new knowledge daily by learning how to do things on your own courtesy of DIY YouTube channel and achieve valuable tricks of the trade from tech stuff to quick tips on home improvement and get ready to be surprised on how some complicated things can be done rather easily and conveniently by no other than yourself. Below are some of the most helpful DIY YouTube channel that you can subscribe to that features various simple to complex projects that you can work on. Watch and learn on your free time even offline using your tablet or smartphone by downloading the videos with AVGO Free Video Downloader, the one stop YouTube downloader and converter that is compatible with all Android and iOS devices. Howcast is currently the most subscribed to DIY YouTube channel. 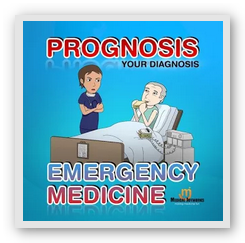 It houses a massive collection of instructional videos that tackles just about any topic under the sun. Some of the do it yourself videos featured on this channel talks about the basics on sports and fitness, personal care and style, food and drink, arts and recreation, gaming and technology. Regardless of the topic being discussed, the step-by-step directions are very straight forward and the videos are quite short that it will only consume about four minutes of your time. Another DIY YouTube Channel that provides tons of do it yourself video contents is eHow channel. 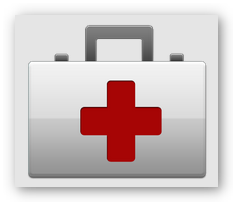 Similar to Howcast, it has a huge library of close to 20, 000 instructional videos which is categorized and filtered based on a certain subject for easier and faster access. In addition to that, eHow also features different channels on specific topic such as cooking, home, pets, technology, health and more. Lifehacker predominantly offers a wide array of quick video guides revolving on technology related matters like antivirus, tablets, smartphones, computers, Android, iOS and a whole lot more. From this DIY YouTube channel you can gather tips and basic “how to” solution on common issues that you may encounter on the above mentioned tech-based topics. DazzleDIY is a DIY YouTube Channel that contains instructional videos regarding home décor (wall, room, etc. ), fashion, school and mostly arts and crafts. It is hosted by Aubrey, a budding Graphics Design student. Although the videos can use a little improvement in terms of editing, it is still modest and fun to watch on considering the fact that Aubrey is owning up to the true spirit of “do it yourself”. A fairly new DIY YouTube channel that is gradually gaining avid “do it yourself” followers courtesy of a spontaneous and cheerful gal, Lauren, is LaurDIY . This channel offers quick how to tips about fashion including clothes and wardrobe style, accessories, hair and makeup and the likes. It is a more of a self-help channel on enhancing the physical appearance and boosting the confidence of modern women. Fight the signs of mental aging and start training your brain to keep it sharp by playing the best free mind game app on either your iOS or Android device. 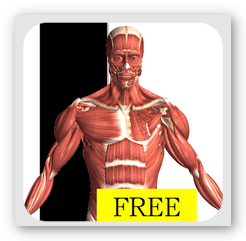 There are tons of free gaming app that you can download on your iOS and Android device including brain healthy games that will surely challenge your intelligence in a fun and entertaining way. So get ready to wear that thinking cap and achieve a sound mind by exercising your brain with any of these best free mind game that is guaranteed to enhance your logical and analytical skills. 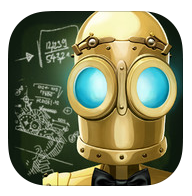 Clockwork Brain measures your cognitive abilities via different puzzles and mini games. 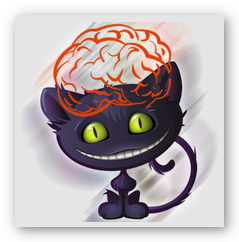 This mind game app includes a series of mini-games such as Scrolling Silhouettes, Anagrams, Missing Tiles, Chase the Numbers and Size Matters which will gauge and improve your logic, spatial, arithmetic and memory skills. 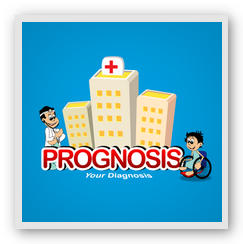 A mind game app that is developed by a team of recognized neuroscientists and cognitive psychologists that features a personalized mind training program which aims to boost the memory, attention, speed, flexibility and problem solving ability of the brain. In addition to that, Lumosity Mobile provides a BPI (Brain Performance Index) profile which tracks your daily progress as you play through the different scientific games to challenge your brain. 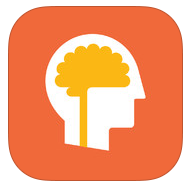 Memory Trainer is a mind game app designed to enhance your memory, concentration, spatial and focus through its series of different brain exercises. 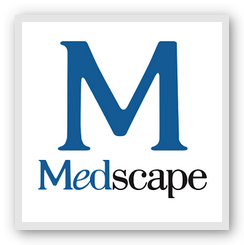 To give you a heads up on your AFIs (Area For Improvement), you can conveniently refer to your progress chart (recorded in a graph) that comes with the app. 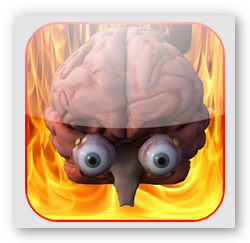 Created to evaluate the memory performance and age of your brain, this mind game app is packed with numerous touch controlled brain training games that analyzes your reflexes, focus and mathematical abilities. After completion of each Brain Age Game test, you will see your brain age bracket via a performance and progress graph. Coach Memory! 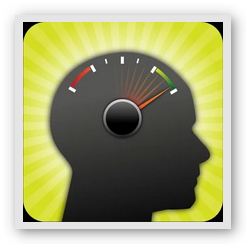 Brain Trainer aims to work on the brain’s ability to react quickly, multi-task and solve problems in a logical way. This mind game app comes with different games like Memory Matrix, Memory Matrix Classic, Patterns, Coins, Speed Match, Simple Math and more that will definitely sharpen your memory and make it more flexible. 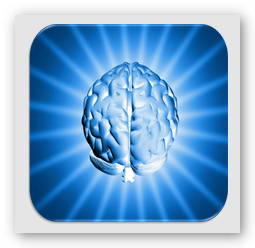 Mind Games is another mind game app that features a great collection of brain training activities that improve mental skills. It includes a variety of mind twisting games such as Face Memory, Attention Training Game, Memory Racer, Vocabulary Star, Word Memory, Visual Memory, Mental Flex, Spatial Memory and several others that will truly increase your mental skills and keep your brain in good shape.